A Christmas Book of Carols for Students of All Grades. Composed by Willard A. Palmer and Bill Hughes. Accordion; Method/Instruction. Palmer-Hughes Accordion Course. Includes three versions of each piece: simplified solo, advanced solo, and ensemble arrangement. Christmas. Accordion songbook. With standard notation, fingerings, lyrics, introductory text and illustrations. 48 pages. Alfred Music #00-670. Published by Alfred Music (AP.670). ISBN 0739024353. 9x12 inches. English. Artists of all levels of ability will enjoy playing the songs of Christmas in this nicely arranged collection. Since most Christmas carols can be difficult to play, harmonically, for the early student, these selections are offered as simplified solos, advanced solos, and even as ensembles. Instructional and performance notes are included. Great collection of Christmas songs! Lovely book, well laid out and has easy method of playing as well as advanced notes for one and all. bass instrument. Having a piano background I was able to play through some of the advanced pieces. Advanced compared to the easy pieces they are, but in actuality, I have a feeling they are more intermediate in actual playing level. I loved the fact that this book did contain so many different formats or arrangements of the same piece though I'll probably never play these in a band. I hope PH comes out with a Christmas book containg more popular songs with the same idea. 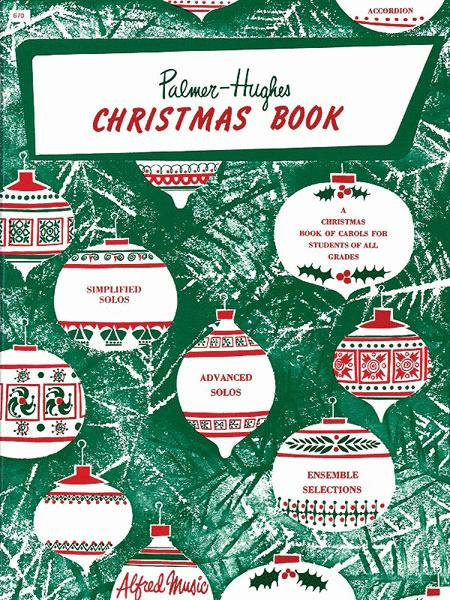 There were only two in this book of 12 "carols". I am an adult semi-professional musician and advanced beginner accordionist. 28 of 51 people found this review helpful.